Purist faucets and accessories combine simple, architectural forms with sensual design lines and careful detailing. Both sculptural and functional, this hotelier promises an inviting visual appeal of classic modernity, and features solid brass construction. 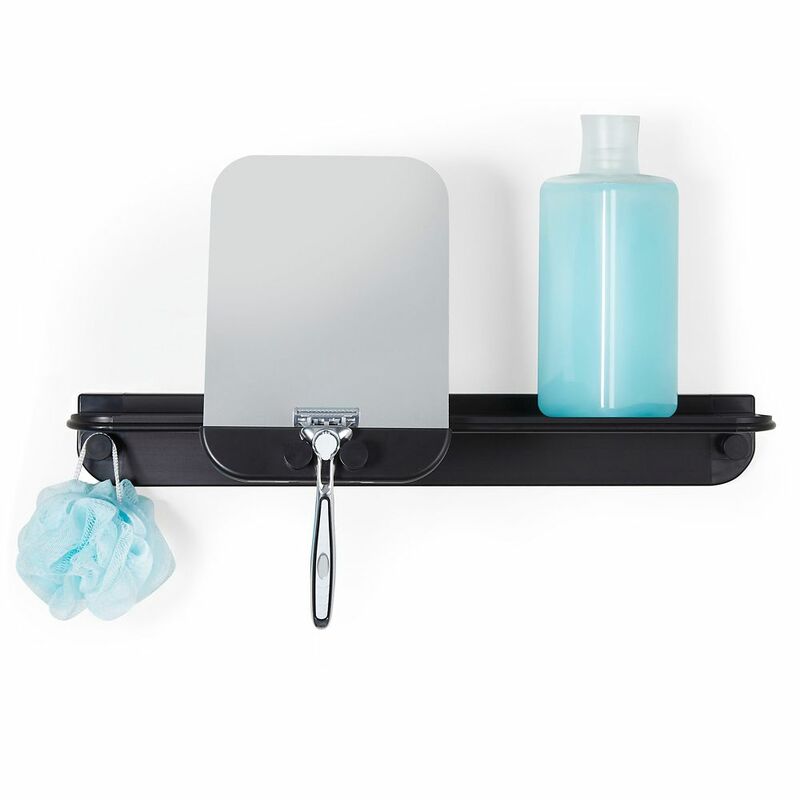 Glide Shower Shelf with Mirror Black Aluminum The GLIDE Shower Shelf combines contemporary design with the strength of rust proof aluminum, and securely installs with silicone glue. The fog-resistant mirror conveniently glides along the shelf rail and is quickly removable.